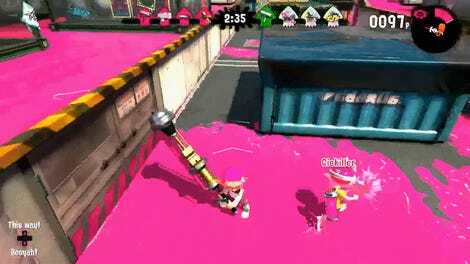 In last night’s Splatoon 2 exhibition match between Eclipse and Saikai on InkTV, one squid decided to hide and wait in ink, until the perfect moment came to spring their trap. 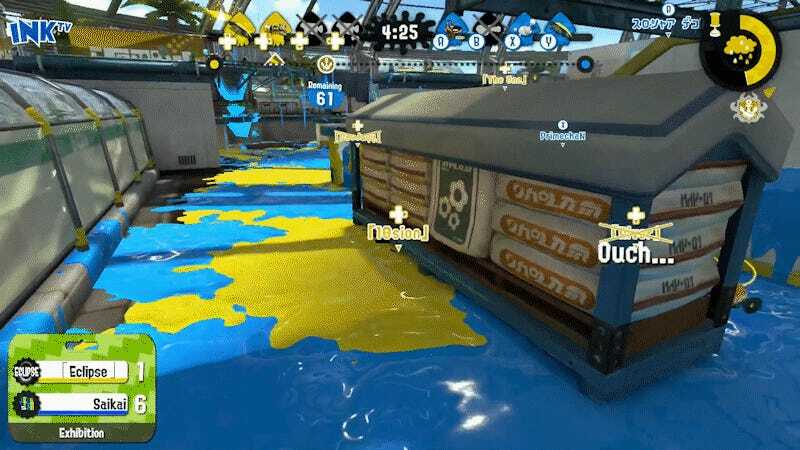 Saikai was pushing up on Eclipse’s turf with the Rainmaker when, as their teammates fell, Eclipse player “10sion” dove into the safety of their own yellow ink. Nestled away, Saikai player “Sunny” doesn’t clear the patch of ink 10sion is hiding in, and proceeds on unaware—all the while, 10sion is waiting for their moment. 10sion pops out and blasts two members of Saikai, including the Rainmaker holder, and swings the momentum back in their team’s favor. Having that ninja squid perk really paid off! If you want to check out more of the best-of-nine exhibition, you can find the video on InkTV’s Twitch archives here.